The Xiaomi Mi 4 is top-range Android smartphone, developed by Chinese company, Xiaomi Tech, and released in August 2014. The Mi 4 features a Snapdragon 801 quad-core 2.5Ghz processor, 3GB of RAM and either 16GB or 64GB of internal storage. It has a 1080p IPS LCD 4.7" display, and a 13MP rear camera, as well as a 5MP front facing camera. 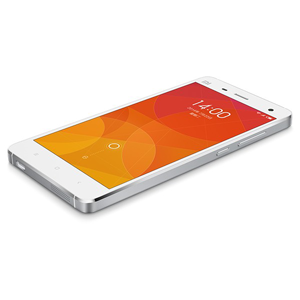 It runs on Android 4.4.3, and features Xiaomis' own user interface, MIUI.